This year I’m drawing out my birthday for as long as possible with bi-coastal celebrations. With the party kicking off on America’s East Coast, we had 20 people over to party, play and most importantly, eat! Friends and family joined us around the table after piling their plates with copious amounts of food. The kitchen island had a glorious spread on offer, East Coast style. 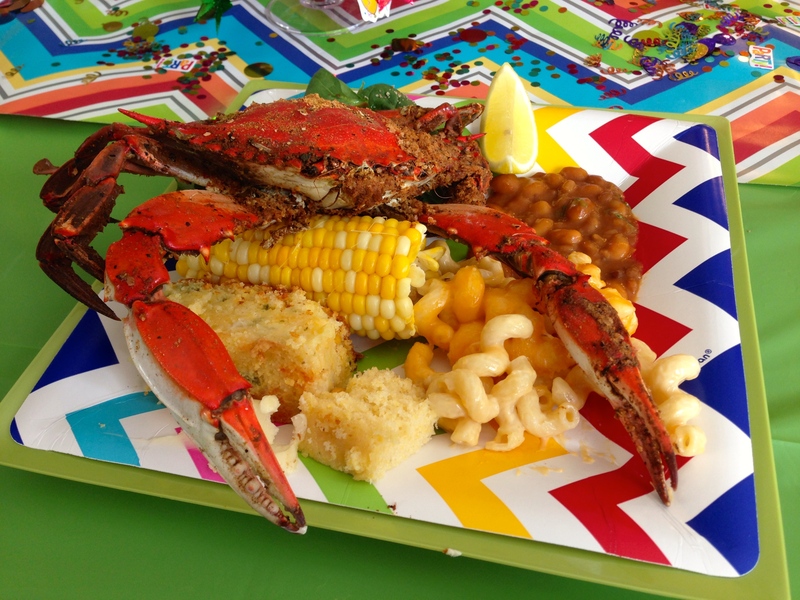 We gorged on jumbo shrimp, fried chicken and 10lbs of some delicious locals, Maryland crabs. 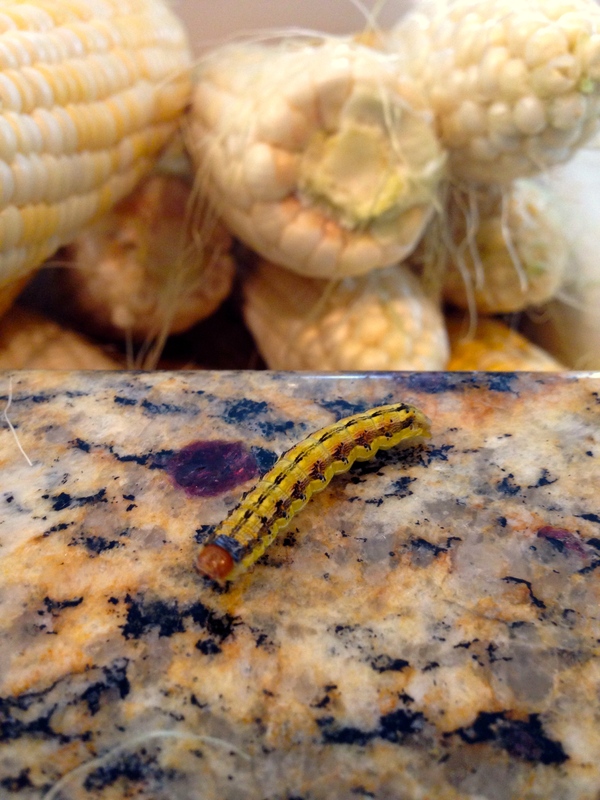 Whilst prepping for the party, I discovered this little guy hiding in the corn. I named him Cobb. 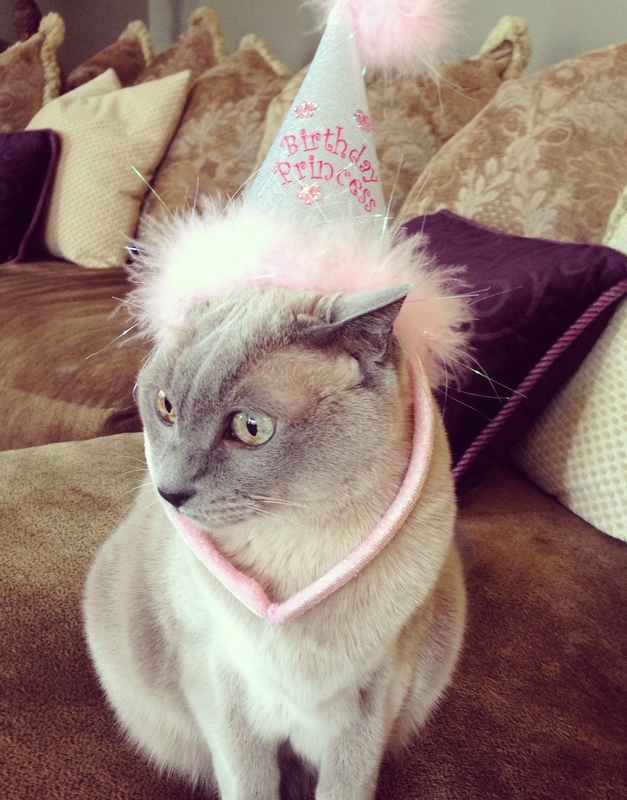 Couscous quickly assumed the position of birthday diva and waited anxiously for guests to arrive. Never one to skimp on sides, we had bowls of macaroni & cheese, baked beans, corn on the cob, my famous pomegranate salad and last, but certainly not least, jalapeño cornbread. I keep being asked for recipe posts and as this was such a winner at the party, I thought I’d share so you can be the food hero at your next get together. Just be sure not to tell everyone how easy it is to make and lap up the endless compliments and table full of ‘mmmmms’. You’re not actually going to believe how easy such a delicious dish is to make. Pour your cornbread mix, buttermilk, vegetable oil, creamed corn and beaten eggs into a bowl. Give it a good mix with your spatula. Now grab about two heaping handfuls of shredded Monterey jack cheese and sprinkle them in like strands of cheese rain. I have tiny hands, so I went for three. You can obviously substitute this for a different cheese if you like, but preferably something sharp to contrast the sweet corn. Now give your onions and jalapeños a rough chop and toss them into the gloopy mixture. The jalapeños add a nice fiery kick and you can add as much or as little as you like. Give a final little stir and pour into your sprayed or buttered 9×13 baking dish. Pop into the oven for about an hour. The top should become a nice golden brown, and the interior will still be moist. Uh oh, does that word make you shudder? Sorry. The cornbread will still be a little wet and will leave a bit of residue when you test with your fork. Cut into squares, pile onto a plate and watch them disappear before your eyes. If you make these, take a picture and tag me @Alessandra_LDN on Twitter or Instagram so I can see how yours turned out! Or tell me what recipe you make as the perfect side dish in the comments below.